GoPro is continually leading the way for action cameras. Their latest release of the Hero 3 seems to be better in every way and leads the market in advancements. Light, smaller, more powerful, better sound, faster photos and improved lens design for sharper images are just a few of the improvements on the latest GoPro camera. Looking for Best Deal Online? Although there are 3 versions of the GoPro 3 (Black, Silver & White) all specs and info you see in this review will be referring to the Black Edition. 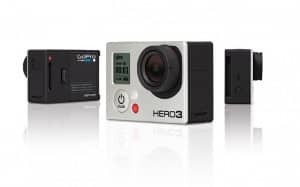 The new Go Pro Hero 3 showcases just exactly what a small yet durable and tough action camera is possible of.. when used by the right person. GoPro is constantly the #1 pick for professionals. It has been seen being used in a number of TV productions these days as well as movie production as well. There are a number of highly respected directors and producers that are seeing the true benefit this handy camcorder can do. This series of the Hero is similar to its predecessors all wrapped up in something small. This camera is really small to say the least and it’s about 30% thinner and also 20% lighter than the Hero2 version. While this housing is waterproof the size becomes the biggest factor of this camcorder. This action camera comes with a mount and this is going to make it easy to fix the camera to a number of surfaces. However, the mount with this camcorder isn’t something standard but it’s specific enough to have accessories that are required to use for an even more adventurous positioning capability. The Hero3 has been built with new sensors that are built to be twice as powerful compared to predecessors. You will also find there are white and silver versions available for more options. GoPros are know for low performance in low-lighting, but while it has improved, there have been tests done that show the black does hold well. When using this camcorder you want to have light introduced since no camera seems to work as well when conditions to get dark. The resolution of the Hero3 comes with different rates that will appeal to many consumers. These include 1080p at both 50 and 60fps, and 720p for 100 or 120fps and 1440p for 48fps. This allows the camera to work great at half speed playback. The Hero3 has a number of features that can be praised as well including a white balance control as well as wide angle lens. The battery life is smaller since the design is smaller. You can record about 50 minutes non-stop and if you use the Wi-Fi this can cut down the battery to 30 minutes. However, you can buy a larger battery pack to help have a longer recording time. This is especially true if you’re interested in riding the slopes for the day or snowboarding. Or you could just buy a couple of extra batteries to take along with you. 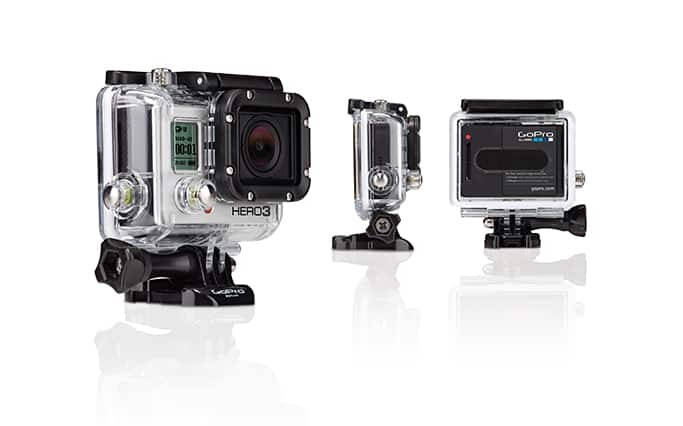 How Does It Compare to Gopro Hero HD and GoPro Hero 2? The GoPro Hero 3 offers a lot of improvements as opposed to its competitors and former models. This mini knockout is lighter and smaller improving the experience of users everywhere. This product offers versatility and is a great quality camera for professionals as it is competitively priced at $399 (same price as Contour + 2 and Drift HD Ghost). 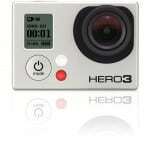 The best place to buy the GoPro 3 Black Edition is online through a recognized retail store such as Amazon.com. You can be assured you’ll find the best deals and quality service and fast reliable shipping. Thanks for reading my review and hope you found it helpful in your decision to buy a new GoPro Hero 3.